The Genie Super Lift Advantage SL10 is a versatile, heavy duty, materials lift, which can easily be controlled and operated by one person within confined working areas such as warehousing. The Genie Super Lift Advantage SLA10 is ideal for ducting, pipework, ventilation etc. and has a full range of accessories available. 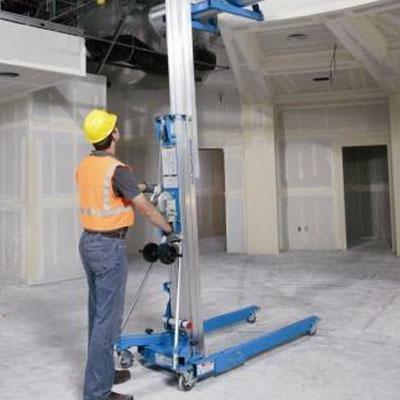 The Genie Super Lift Advantage SLA10 can manage loads up to 454kg at a height of 3.4m.